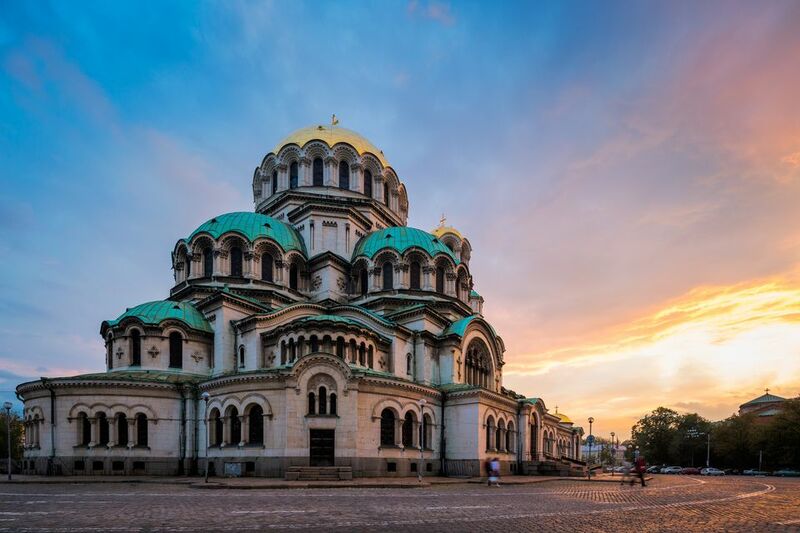 If you're planning a trip to Bulgaria, you should know when it marks holidays and a bit about those celebrations. If you're there on a holiday, you are an eyewitness to the country's culture, history, and personality, and that adds an interesting dimension to your visit. But you should also be aware that on national and religious holidays, public institutions, shops, and restaurants might be closed. Bulgaria rings in the New Year with the rest of the world on January 1. If you're in Sofia, the capital, head to Batenburg Square, where annual performances are held in honor of this holiday. Baba Marta, or Grandmother March, is marked by the giving of red and white Martenitsa—red and white tassels that are handmade or sold by street vendors. The colors symbolize blood and snow, and Bulgarians put these tassels on their clothing to ensure good health and prosperity. Liberation of Bulgaria Day celebrates the establishment of the Bulgarian state in 1878. This holiday, like other similar ones in different countries around the world, is marked with public ceremonies. Easter is an important holiday in Bulgaria. Traditional foods are prepared and eaten, and eggs are dyed. These dyed eggs are oftentimes colored red, which is a custom for Bulgarian Easter. Cracking eggs as a family together is a common tradition that is said to predict coming wealth and success. Bulgaria's Labor Day has been celebrated since the middle of the 20th century and is marked as a day of rest. This day is also known as the Day of Slavonic Alphabet and Culture and the Saints Cyril and Methodius Day. This unusual holiday celebrates the Cyrillic alphabet and its developers, Cyril and Methodius. In the ninth century, these two Greek monks created the Cyrillic alphabet, a form of which is still in use today in Bulgaria. This day celebrates the unification of Bulgaria with the province of Eastern Rumelia in the 19th century. The unification almost doubled Bulgaria's size. As with other national holidays dealing with borders and origin, the day is honored with public ceremonies. Bulgaria celebrates its independence from the Ottoman Empire with ceremonies marking this important event. Bulgaria became independent on Sept. 22, 1908, not long before World War I.